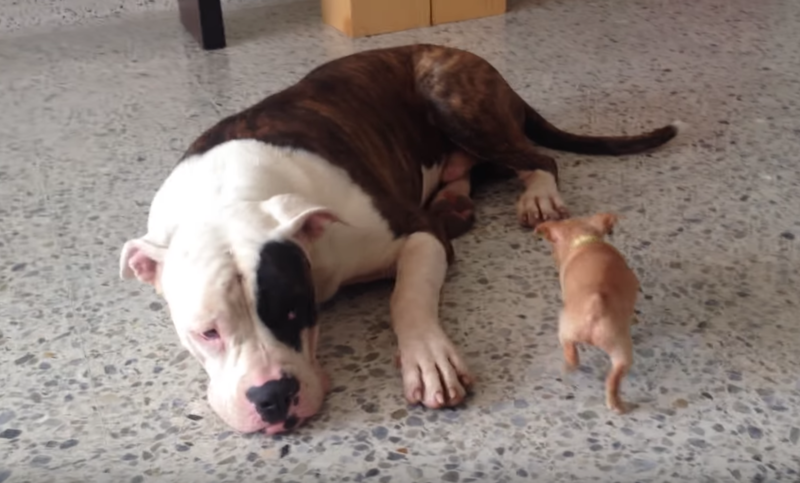 The American Bulldog is just lying on the floor minding his own business when the fearless Chihuahua attacks! 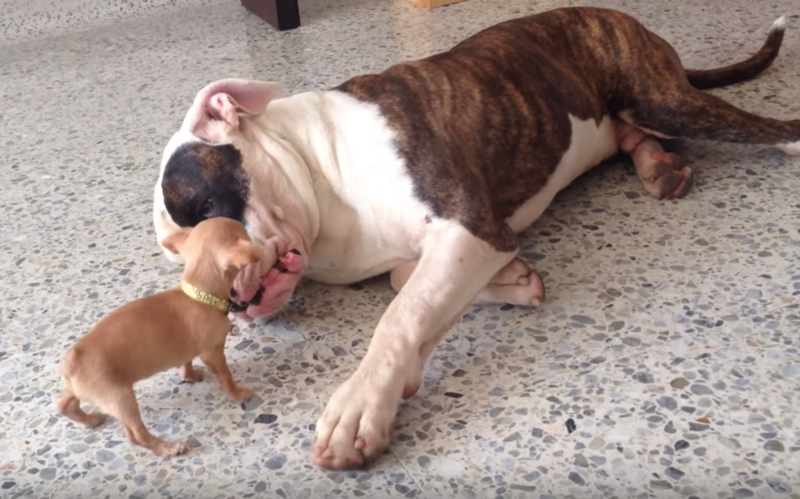 Luckily, the dogs are best friends, and the Bulldog is the biggest gentle giant ever. This just goes to show that being a certain breed doesn’t make a dog aggressive. As long as dogs are raised correctly, they’re the sweetest and most loyal companions ever. 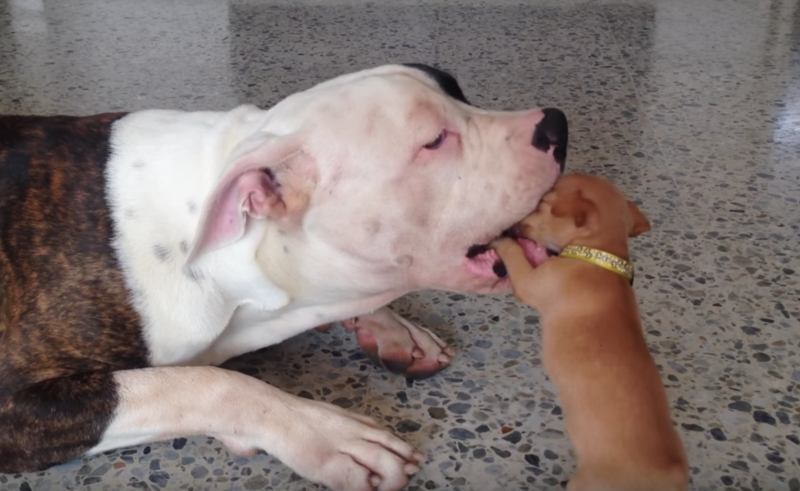 And this Bulldog certainly is one of the most lovable dogs you’ll ever see!